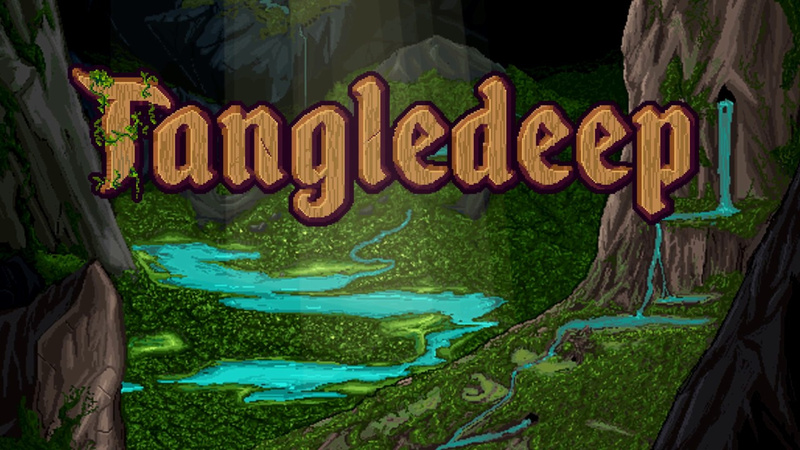 The roguelike dungeon crawler Tangledeep, previously described as a tribute to the golden age of RPGs, is finally being released on the Nintendo Switch eShop later this month on 31st January after missing its Q2 2018 window. The developer Impact Gameworks first showed interest in bringing the game to the Switch in October 2017. The dungeon-crawling elements draw from classics such as Secret of Mana and Chrono Trigger and the strategic turn-based gameplay has been inspired by roguelikes such as NetHack and Shiren the Wanderer. Will you be adding this to your Switch library on release? Tell us below. I saw a Frog with a Shovel. If this isn't classified as a JRPG it's legally obligated to now. I've been waiting for this one. Can't wait! This looks pretty great... hope it pans out! @Retron Same, I deliberately held off on PC just because I wanted this on Switch. Checked out a few videos of pc play. Super excited for this now! An honest to goodness roguelike, finally. A rogue like dungeons crawler? Looks like a copy of crypt of the necrodancer to me but without anything that made it fun. I could use some more roguelikes, only one on I have on switch so far is Yodanji. This is exactly the kind of game that I'll excitedly buy on day one, play for a few hours and then tell everyone I know how awesome it is while refusing to admit to myself that I'll never pick it up again. Looks wonderful but I think it's going to be another great title that exists permanently at the end of my back log while I play simpler games. The artstyle and combat had me at hello. WoW....This game Graphically and animation wise looks Amazzzzzzingg..., would be awsome if its co-op. not sure if rogue lite means randomly generated levels/etc or not, if so, not crazy about that feature....but visuals are definitely great. The characters remind me of avatar the Last air bender. It has randomly generated levels and, optional, perma death but from the PC reviews it handles those very well. Looks pretty sweet, my kind of game. My excitement for this one sorta bottomed out months ago when the devs kept blaming Nintendo's strict QA process for delays instead of owning up to the fact that more work was needed to be done. "Obscure bugs" or not, Nintendo is/was right to keep pushing back. Very cool! This has been on my Steam wishlist for awhile now and I'm glad I held off. I love playing these type of games on the Switch. Another brand new dev launching their first game expecting everyone to pay the Nintendo premium. Sorry no. If you're going to charge more than iOS, you better have a proven track record. Nice! I’ve had this in my wishlist for awhile; I knew it sounded familiar. Just gotta see the final price and that will be the determining factor of when I buy it. @BadWaluigi This game has been on Steam for awhile and has great reviews. The ones that you think that you saw are rogueLITES, not rogueLIKES. The difference in mechanics MATTER, but some sites (and this one, unfortunately) are too lazy to explain the correct term. Cant wait to double dip on this. I wish death to all rogue like/lite games.